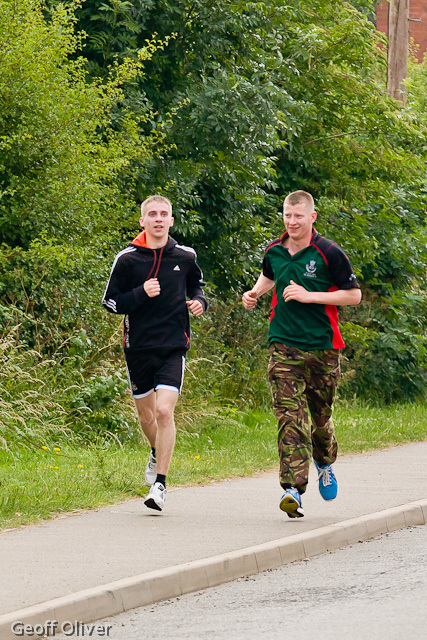 Photographers from Desborough and Rothwell Photographic Society, of which I am a member, were recently invited to photograph a 10 mile sponsored walk held in memory of the Desborough Rifleman Aidan Howell who was killed while serving his country in Afghanistan in 2009. He was just 19. Aidan was a big Leeds United fan and the walk was appropriately called “Marching On Together” the title of the famous Leeds United Football Club song. 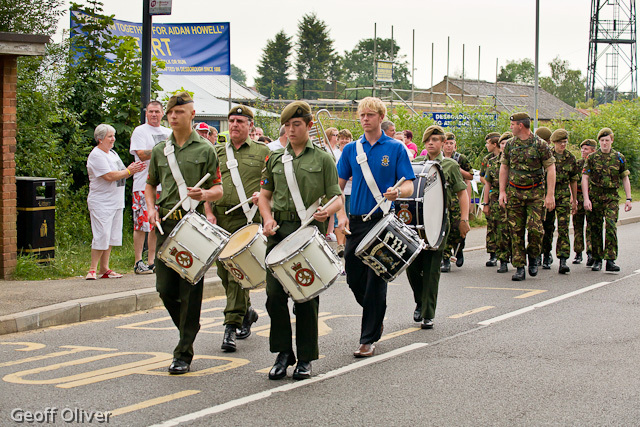 This was the second running of this event after the huge success of the first one in June 2010. All proceeds from the event go to the Aidan Howell Memorial Fund. 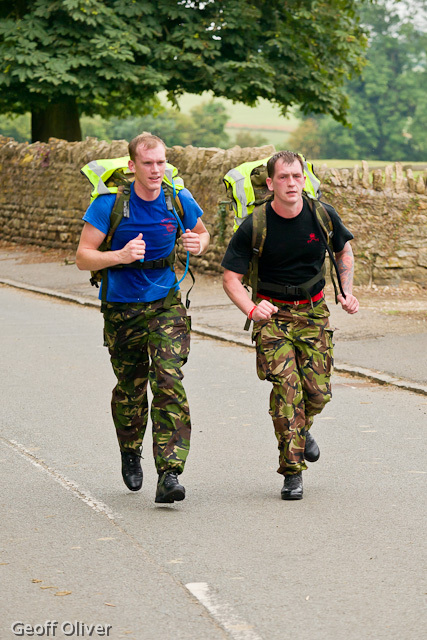 Among the people taking part were servicemen from 3rd Battalion, The Rifles, some of whom were not content to do just the 10 mile course, but instead completed 2 runs in the same day, and others who ran the undulating 10 mile course with fully loaded backpacks strapped to their backs. The course took the runners and walkers from the start at Desborough Town Football Club through the villages of Arthingworth and Harrington, and back to the finish at Desborough via Rothwell. Three photographers attended the event; myself, Trevor Rudkin who is the Chairman of the Society, and Philip Gott. 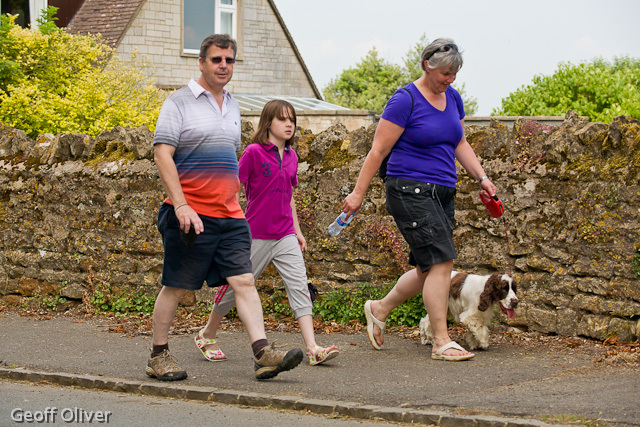 The society’s auditor, Richard Coe, took part in the walk itself. I’m really glad that we supported this worthy event. I must confess to feeling a little apprehensive at the starting line as I don’t live in Desborough and I never knew Aidan myself. Once we got out on the course though, it definitely felt as though we were supporting the walkers and, for the most part, they appreciated us being there to cheer them on.